Fill a pot to 1/2 with oil and heat it to approx. 160°C. Mix the potatoes with the flour, shake of the excess. Deep-fry the potatoes in batches for approx. 5 mins. per batch until golden brown. Remove and drain on paper towels. Mix the curry, garlic powder and salt, sprinkle over the top. Heat the butter in a pan. Add the flour and cook, stirring with a whisk; the flour must not take on any colour. Remove the pan from the heat. Pour in the milk, bring to the boil while stirring, reduce the heat and simmer for approx. 2 mins. Add the Cheddar and chilli pepper, melt while stirring. 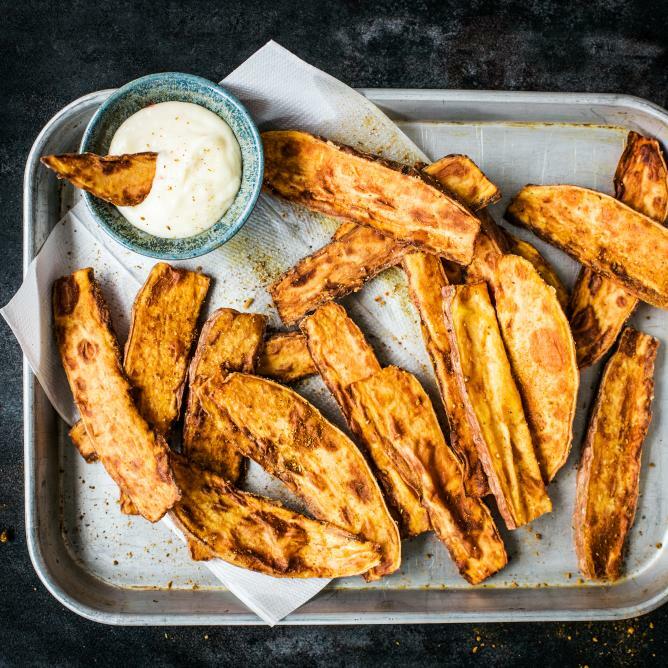 Serve the dip with the potato wedges.